Zero emission tech innovators at Dearman are in the process of hiring up to 40 new staff as the company continues to grow and it prepares for the roll-out of its award-winning liquid nitrogen technology. 10 staff have already been hired into roles across Dearman’s engineering teams to work on procurement, simulation, design and new applications of the Dearman engine. Additional engineering staff are being recruited across the company’s testing, project management, and systems operations. Dearman is also creating a number of new roles in its commercial teams, with five new sales staff and two additional commercial analysts in the process of being recruited. These appointments are being made to help Dearman manage the growth of the business as it moves towards the commercial launch of its zero-emission transport refrigeration unit, which has already undergone successful trials with Sainsbury’s and other international blue chip companies. Demand for Dearman technologies is being fueled by ongoing concerns about the impacts of air pollution on human health. One zero emission Dearman transport refrigeration unit can eliminate the same amount of diesel pollution as up to 29 Euro 6 HGVs. 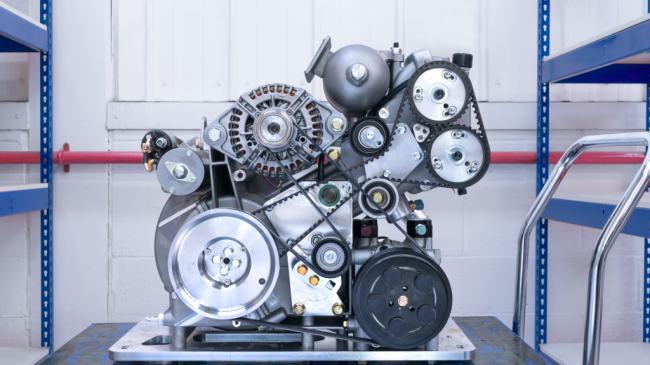 The company is meanwhile developing a series of additional applications of its core technology, the Dearman Engine, for use in transport, logistics and the built environment. During 2017, the company successfully trialed the world’s first liquid nitrogen hybrid bus, demonstrating the high power variant of the Dearman Engine and highlighting the role it can play in reducing pollution from transportation. Plans by governments around the world to tackle air pollution and the declining demand for diesel mean there is an increasing interest in zero emission technologies such as Dearman’s.